TCHATCHOUA JUSTIN from Cameroon, is one of the most innovative African musicians. Tchatchoua possesses an innate talent for music, which he cultivated from childhood, in a family of musicians. His father was a virtuoso of the balafón and instilled in his son the love for music, by teaching him African rhythms secrets and a wide range of musical cadences. His life is devoted entirely to music. Their single "Love me the way I do", produced by Rogers All Stars in 1982 sold over 900,000 copies in Nigeria. Culminating his African dream, he arrived in Spain in 1983 with his musical talent and his unmistakable and unique style. He has recorded several albums and CDs, as well as offering concerts throughout Spain and Europe. With E.M.I. Odeon and the single "Oh Kokoriko" was number one on the lists in Cadena Dial in front of established and renowned artists. 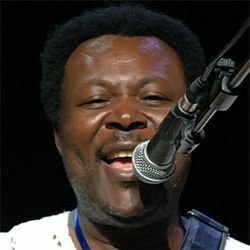 His latest album"LALI, "the African dream, was candidate in the 13th edition of 2009 as best album of fusion Word music and one of the best productions. His album, Lali - the African dream - was presented in the Cuba disco Festival in La Habana. His effort in the development and integration of intercultural coexistence, through his work to promote, preserve and to access the ethnic instruments for their major contributions in music, places him as one of the African artists most valued. 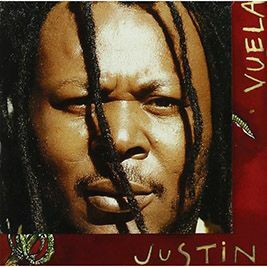 Tchatchoua Justin collaborated with Rita Marley. 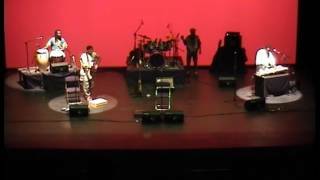 Enrique Urquijo, Papa Wemba, the Waylers, Tito Duarte, Tala André Marie, Jacque Djeyim. He is actually the president of "KOLANUTS" ASSOCIATION FOR THE PROMOTION AND DISSEMINATION OF AFRICAN CULTURE. JUSTIN Tchatchoua Cameroon is one of the most innovative African musicians. Tchatchoua has an innate talent for music, he cultivated as a child in a family of musicians: his father was a virtuoso of the balafon and instilled in his son a love of music, teaching secrets of African rhythms and a wide range of musical cadences. It is completely dedicated to music.